Title: 01/31/1995 - The harmfulness of photographic chemicals used in the C-41 color processing procedure. This is in response to your December 10, 1994, letter requesting the Occupational Safety and Health Administration (OSHA) to provide you literature concerning the harmfulness of photographic chemicals used in the C-41 color processing procedure. OSHA does not have any specific technical information concerning photographic chemicals. We are providing you with a copy of the Hazard Communication (HAZCOM) Standard, 29 CFR 1910.1200, that covers an employee's right to information concerning the hazards of chemicals in the workplace. The purpose of the HAZCOM standard is to ensure that the hazards of all chemicals produced or imported are evaluated, and that information concerning their hazards is transmitted to employers and employees. 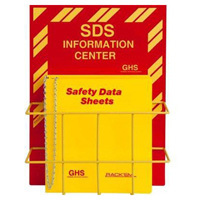 Under the HAZCOM standard, the manufacturer or importer of a chemical is required to develop a material safety data sheet (MSDS) for documenting a chemical's hazardous properties. The information on the hazards of a chemical is transmitted to the employer and employees through the use of MSDSs. Under this standard, the employer is required to maintain the MSDSs in the workplace and provide upon request, by an employee, MSDSs of chemicals that an employee may be exposed to in the workplace. For technical information specific to the hazards in the photographic processing industry, you should contact the National Institute of Occupational Safety and Health (NIOSH), Hazard Evaluations and Technical Assistance Branch in Cincinnati, Ohio. You can call their Technical Information and Hazard Evaluation Requests line at 1-800-35-NIOSH(6-4674) for that information. Thank you for your interest in learning more about protecting your safety and health in the workplace. I recently discovered that my husband and I are going to have a baby. Naturally, I want to take all of the necessary precautions for our baby's prenatal care. I work for a photo lab in Tyler, Texas. I am surrounded by various photographic chemicals. I wanted to find out if these chemicals (mostly for color processing, C-41) will be harmful to our unborn baby during the remaining seven months of my pregnancy. I would appreciate any literature that you may be able to send me on this subject. Thank you for your time.